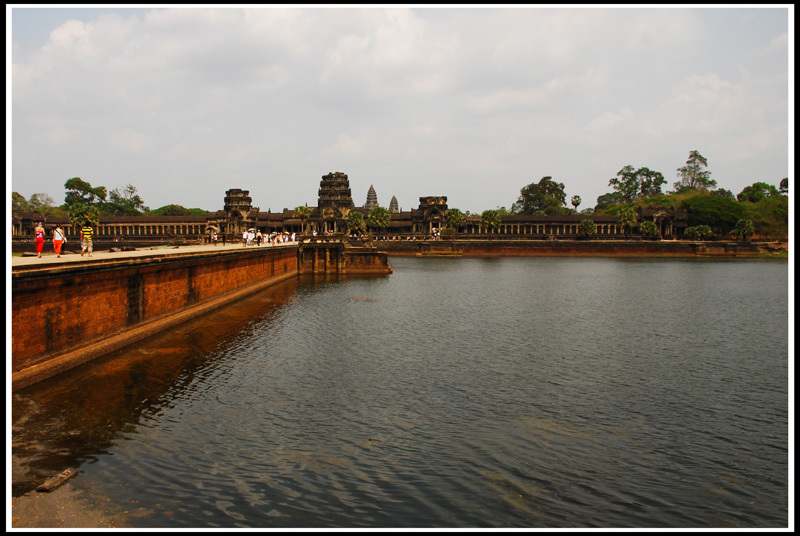 The temple of Angkor Wat is arguably one of the finest historical monuments in South East Asia. A drawing of Angkor Wat actually appears on the Cambodian flag - the only flag in the world to carry on it a structure of any kind. The temple is huge, and surrounded on all sides by a large moat. Standing at this point, you can almost feel how grand Suryavarman II must have felt just after it was completed - with the help of over half a million workers.